Welcome to the first Hungarian website! 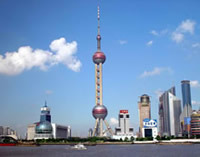 This website gives the most updated information about the 2010 World Expo Pavilions. Here you can free download the pavilions of participants or you can find pictures, maps and videos about Shanghai. Shanghai Expo Newsletter No.34. October 01. Shanghai Expo Newsletter No.33. September 24. Shanghai Expo Newsletter No.32. September 17. Shanghai Expo Newsletter No.31. September 10. Shanghai Expo Newsletter No.29. August 15. Shanghai Expo Newsletter No.28. July 30. Shanghai Expo Newsletter No.27. July 15. Shanghai Expo Newsletter No.26. June 30. Shanghai Expo Newsletter No.25. June 10. Shanghai Expo Newsletter No.24. May 30. Shanghai Expo Newsletter No.23. May 13. Shanghai Expo Newsletter No.22. May 01. Shanghai Expo Newsletter No.21. April 16. Shanghai Expo Newsletter No.20. March 30. Shanghai Expo Newsletter No.19. March 16. Shanghai Expo Newsletter No.18. February 27. Shanghai Expo Newsletter No.17. February 9. Shanghai Expo Newsletter No.16. January 23. Shanghai Expo Newsletter No.15. January 12. Shanghai Expo Newsletter No.14. December 24. Shanghai Expo Newsletter No.13. December 11. Shanghai Expo Newsletter No.12. November 27. Shanghai Expo Newsletter No.11. November 10. Shanghai Expo Newsletter No.10. October 28. Shanghai Expo Newsletter No.9. October 10.